When we start the application, we’ll see a simple chat interface where we can enter a few messages and see them displayed in our message list. 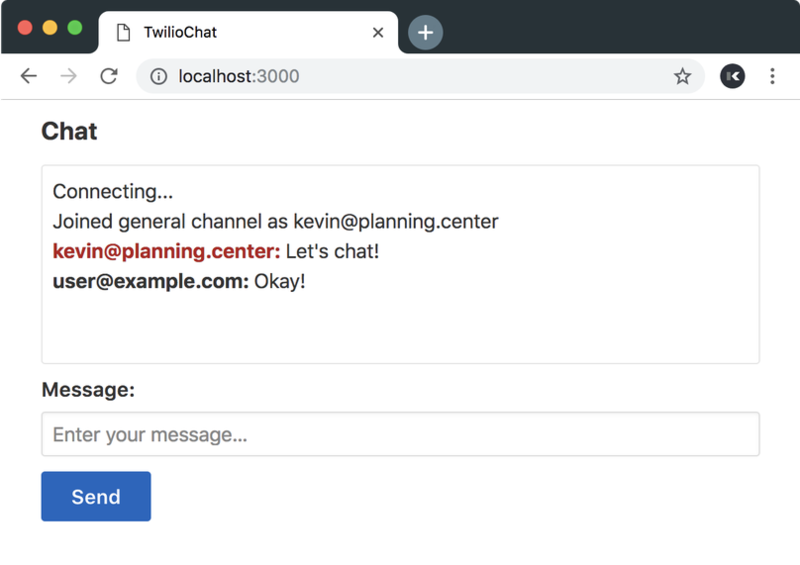 If you’re integrating a service like Twilio’s Programmable Chat into your website, you’re going to need an interface for users to interact with. Let’s use React and a suite of modern development tools to create an application for submitting and displaying chat messages. As we build our our interface, we’ll identify any isolated piece of the UI that might contain its own state and behavior. Those will be our initial React components. 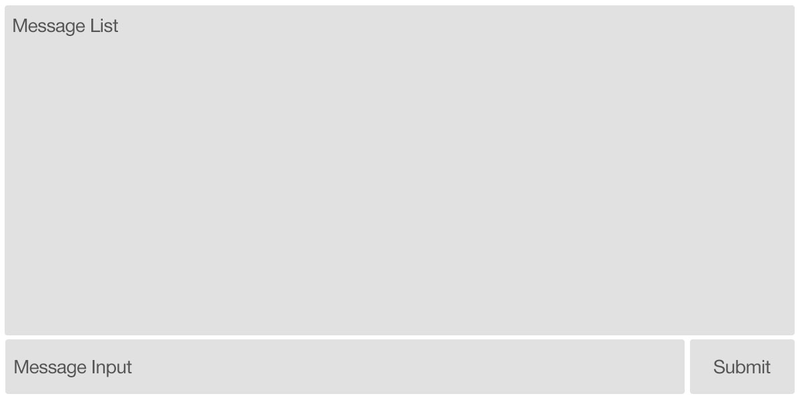 In this simple design, the two most distinct areas are the message list and the message form. 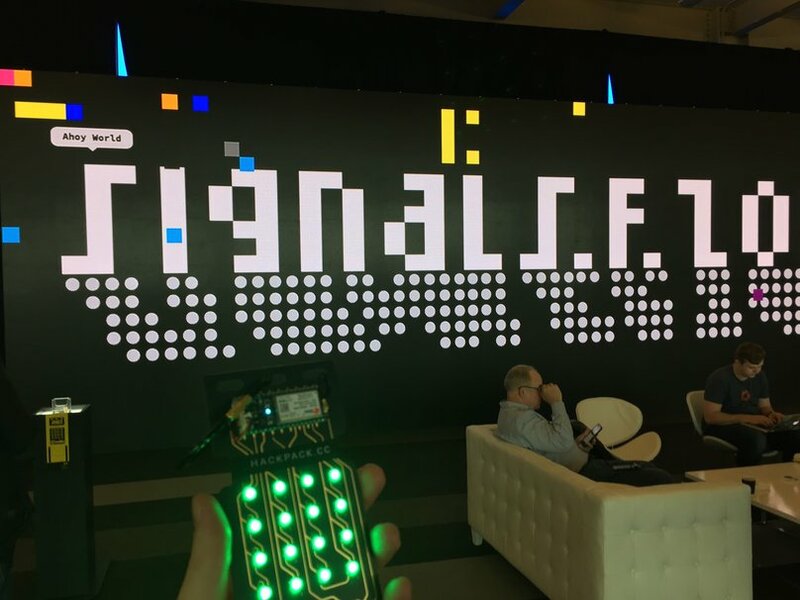 In May, Twilio set up a massive 40-foot video wall for their SIGNAL conference and handed out hackable wireless badges to every attendee. Once you activated your badge by placing it in one of the podiums in front of the display, you could send commands to a short code that would affect your personal block on the video wall. As attendees began activating their badges, you could see squares of the display post their “Ahoy, World!” message and identify their location. It didn’t take long for shapes, words, and large patches of color to begin taking shape on the wall. As soon as I saw what was possible, I had to find a way to draw pixel art on the display.